When the Food and Drug Administration (FDA) grants approval for the release of a drug, the medication is intended for use only for a specific purpose. For example, an antidepressant medication would be tested on patients suffering from depression and the drug is thus approved only for the treatment of depression. Unfortunately, there is widespread “off-label” use, in which medication is prescribed for something entirely different than its intended purpose. This occurs when it appears that the drug may have a positive impact on a medical condition that it has not officially been approved to treat. In many cases, the off-label use is actually encouraged by the drug manufacturer despite the fact that the pharmaceutical company is aware of exactly what its medication was approved to treat. When off-label drug use causes harm to patients, an experienced Boston defective drug lawyer should be consulted for help taking legal action. Victims injured by a dangerous drug may be able to pursue a claim against a pharmaceutical company that encouraged the inappropriate use of the medication or against others responsible for the harm the medication has caused. The dangers of off-label drug use became apparent yet again recently when The Star reported on pregnant women in Canada being prescribed a powerful anti-nausea drug. The drug, ondansetron, was approved for the treatment of nausea and vomiting in patients undergoing chemotherapy or surgery. It was not approved for use on pregnant women and has not been tested and proven safe for mother and baby. Despite this, doctors began prescribing the medical as a treatment for morning sickness. Now, at least 20 women who were treated with ondansetron for their morning sickness have experienced tragic outcomes. Two infants have been killed and many more infants have been born with kidney malformations and heart defects. 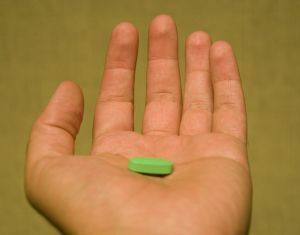 Problems with off-label drug use are common in the United States. Just last year, the New York Times wrote about Subsys, which is a form of fentanyl that was approved only for cancer patients who were already using painkillers constantly. Although the F.D.A. warned that the medication should be prescribed only by oncologists and pain management specialists, only one percent of the prescriptions written for the medication were from oncologists and only about half of the prescriptions were written by pain specialists. The remaining half of the prescriptions came from a wide range of physicians including general practice doctors, and even podiatrists and dentists. Interviews with former sales representatives for the drug company revealed allegations that the drug company may have marketed the painkiller aggressively to physicians who really had no business prescribing it. The F.D.A. regulations make clear that while doctors can prescribe as they see fit, drugmakers can only market their prescription medications for approved uses. When a drug company pushes its pills on those who shouldn’t receive them, the company can be held liable for the consequences. If you are the victim of a defective drug injury, call the Law Offices of Jeffrey S. Glassman for a free and confidential appointment — 1-888-367-2900.